Be at least 70% less corrosive than road salt. PNS has become a recognized pioneer in establishing and standardizing chemical products for snow and ice control. So much so, in fact, many states and agencies outside of the Pacific Northwest adopt and reference the standards they have set. 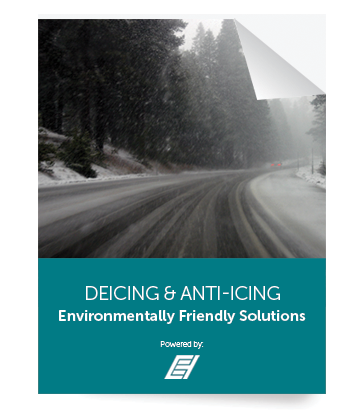 ESI's latest salt brine enhancer, AMP (http://envirotechservices.com/deicing-anti-icing/salt-brine-additives/amp/), improves the performance of salt brine through increased bond to the road surface, accelerating melting, and reducing corrosion. In a recent experiments, ESI has demonstrated the performance advantages of AMP in several capacities. You can click below to request an evaluation or download a whitepaper on AMP's melting capacity (http://envirotechservices.com/wp-content/uploads/2015/10/AMP-Melting-Capacity-White-Paper.pdf). To learn more about exactly what products can serve you best, request an evaluation below.